Rep. Andy Barr wants a fourth term representing Kentucky's 6th Congressional District but is in a tough contest with Democrat Amy McGrath, a retired Marine fighter pilot. 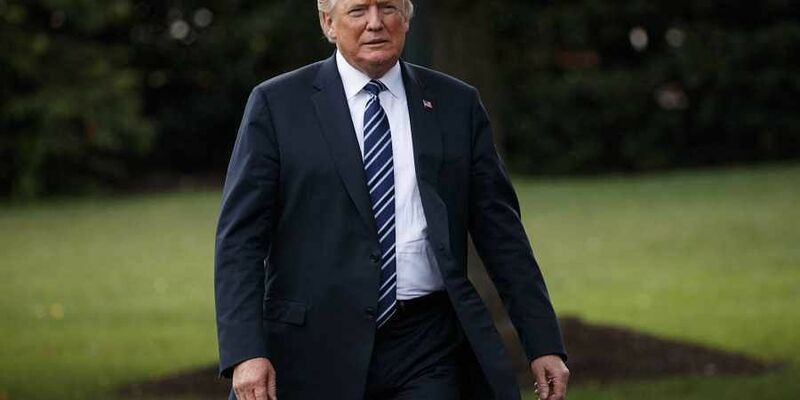 WASHINGTON: President Donald Trump made plans to spend another Saturday night on the road, this time campaigning for a three-term Republican congressman from Kentucky who is facing a strong challenge in one of the most closely watched U.S. House races. Democrats have focused on the seat in their drive to regain control of the House. Trump tweeted before his trip that Barr is a "fantastic guy" whose vote the president needs to make America great again. Trump said Barr was strong on crime, tax cuts, the military, veterans and the Second Amendment. "Andy has my Strongest Endorsement!!!" "This is not hyperbole. This election is bigger than politics," Biden said. "Together, we've made unbelievable progress, and we're just getting started. We have so many other things," Trump said at a rally Friday night in Ohio. He also promoted a "really historic week" for the country that included the installation of his second justice on the Supreme Court in as many years and Friday's release of American pastor Andrew Brunson, who had been detained in Turkey for nearly two years. "If you vote to elect Republican House, Republican Senate, we will continue to cut your taxes, cut your regulations, and raise your incomes very, very substantially," Trump promised in Ohio while claiming that rival Democrats are for "radical" policies and programs. Trump arranged to meet Brunson in the Oval Office on Saturday before he was to leave for Kentucky. The president held other campaign rallies this past week in Iowa and Pennsylvania. More are planned for next week. The rally set for Eastern Kentucky University in Richmond has sparked opposition at the school. More than 100 faculty and staff members said in a recent letter to the university's president and Board of Regents that Trump's campaign has disrespected the values that are central to higher education.